The vibrant coastal community of Cape Coral is located in Lee County on the Southwest coast of Florida. In addition to its tropical weather and beaches, tourists visit the city to enjoy its nature preserves and parks, which are filled with unusual and exotic birds and other wildlife. Through its extensive canal system that spans over 400 miles and close proximity to the Gulf of Mexico and the Caloosahatchee River, people enjoy the waterways by fishing, kayaking, or boating. This tropical city attracts both families and retirees, boasting a population of over 170,000 residents, with an average age of 45. Residents can take advantage of the many parks, schools, museums, and cultural centers in the city. Cape Coral’s growing population, as well as its seasonal tourism, creates significant hazards on their roads. Lee County has some of most dangerous highways and intersections in the state, some of which are located in Cape Coral. The high volume of tourist and residential traffic on roads that are already congested can lead to automobile accidents. Common car accidents include sideswiping, broadsiding, and rear-end collisions. If you have been involved in a motor vehicle accident, contact the Cape Coral car crash lawyers at the Wolfson Law Firm to discuss what steps you should take. You may need medical treatment=, your car may be damaged, but you don’t have the money to pay for either one. If you or a loved one has suffered injuries or a fatality as the result of an automobile accident and would like to speak to our Cape Coral motor vehicle accident attorneys, contact the Wolfson Law Firm at 239-777-9954 for a free consultation. A rear-end collision typically occurs when one vehicle his the back of another. Speed and other factors can determine how serious the accident is, ranging from a minor “fender bender” to catastrophic crash causing considerable injury and damage. When rear-end collisions are severe, injuries and property damage is easily identified. Accident victims may receive medical treatment on the scene or know to seek it immediately afterwards. On the other hand, injuries and damages sustained in a minor rear-end collision are far less obvious and may take days before they surface. Although they are less devastating than those received in a major automobile accident, the lack of medical treatment can aggravate these injuries, causing more pain and suffering over time. 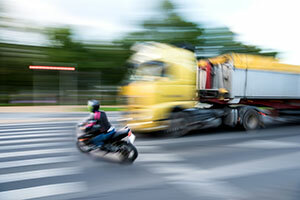 Common injuries that result from a rear-end collision include pain in the arms, wrists, neck, or back. Injuries in these areas are often the result of either the body tensing up and preparing for impact or slamming against a hard surface upon impact. Neck injuries, such as whiplash, are common in rear-end collisions as the neck extends beyond in normal range of motion upon impact, causing it to snap-back suddenly. Victims can also be bruised or cut by their seatbelts or from objects flying about the car. To minimize injury in a rear-end collision, accident victims should always seek medical assistance, regardless of the severity of the crash. Injuries that are untreated can be aggravated, causing more pain and damage. If you’ve been injured in a car accident and have questions about your rights, contact the Cape Coral car crash attorneys at 239-777-9954 for a free consultation. The Wolfson Law Firm proudly serves residents in Cape Coral and the surrounding communities of Bonita Springs, Sanibel, Fort Myers, and Pine Island. If you or your loved one has been the victim of a car accident, contact the Cape Coral car crash attorneys at the Wolfson Law Firm at 239-777-9954 for help.